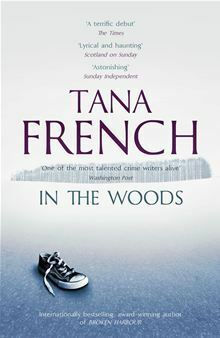 Tana French grew up in Ireland, Italy, the US and Malawi, and has lived in Dublin since 1990. She trained as a professional actress at Trinity College, Dublin, and has worked in theater, film and voice-over. Twenty years on, Rob Ryan – the child who came back – is a detective in the Dublin police force. He’s changed his name. No one knows about his past. Even he has no memory of what happened that day. ~Character VS Plot: While engaging enough to keep my attention, this book is more character orientated than plot orientated and with a Crime/Mystery novel, I think that’s difficult to pull off well. I’m a plot-orientated reader and writer so a reader’s level of enjoyment will depend on what on type of reader you are. When I pick up a Crime novel, I may be interested to a degree on how the main detective interacts with other people and the relationships he/she has, but I don’t read a crime novel so that the main character’s love life takes precedence over a crime. To Rob Ryan’s credit he does acknowledge that he’s been an arse at the end, but by that point I had stopped caring. I don’t have a problem with an unreliable narrator and at the beginning I didn’t mind the main character, however by the end I couldn’t stand him and I just couldn’t connect to the main character at all. ~Little Did I Know: The book flip-flops between present and past tense, now I understand that some of it is needed to explain back story, flashbacks of Rob Ryan’s missing memories, but there were also “Little Did I Know” and “Before It All Came Crashing Down” moments peppered here and there that irritated me. I have a great dislike of Little Did I Know, especially in a crime novel, I don’t want to be told, I want to be shown. ~Interesting Choice of Villain: I don’t want to spoil it, but the ending is pretty messed up (in an emotional way), however in a legal and perhaps writing fashion, very well played. In conclusion, I think the novel was well written, but the author’s preferred style of focusing on the people and people interactions, I don’t think it’s for me. The first book was good and I can understand why it’s popular but I won’t be pursuing the rest of the series.